Petrox microbes were added to excavated petroleum-contaminated soil to accelerate the degradation of DRO and ERO total petroleum hydrocarbons. 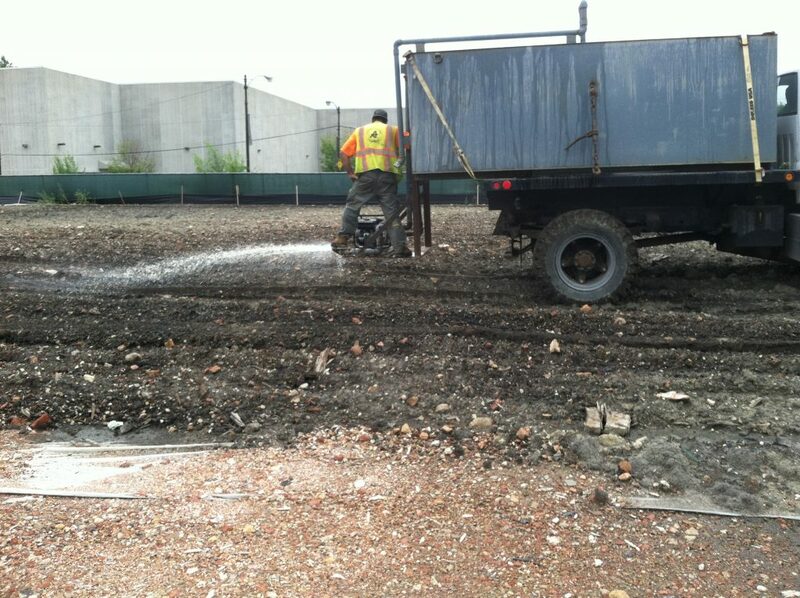 Petrox was added by spraying the surface of the soil with a hydrated Petrox solution. 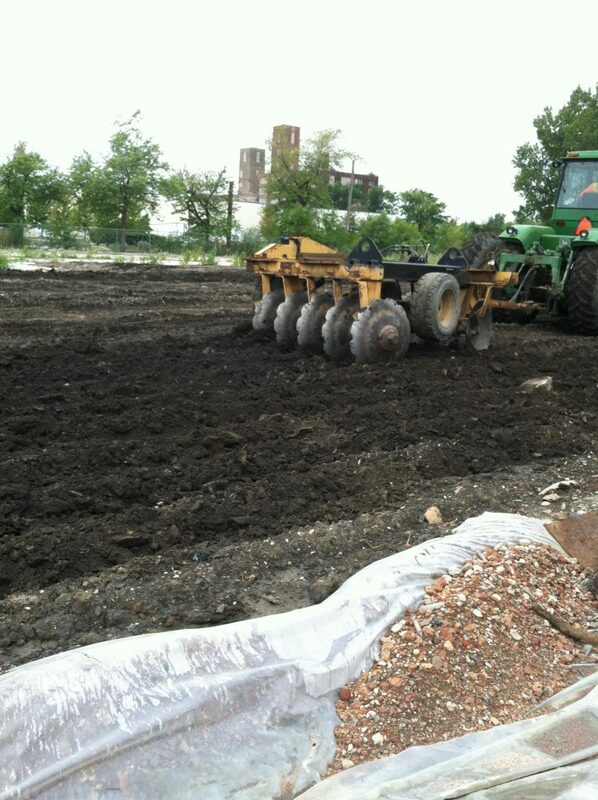 The microbes were mixed into the soil using a tractor-mounted disc tiller. After approximately 60 days, soil samples were taken for testing. The soils showed 90% to 99% petroleum removal. 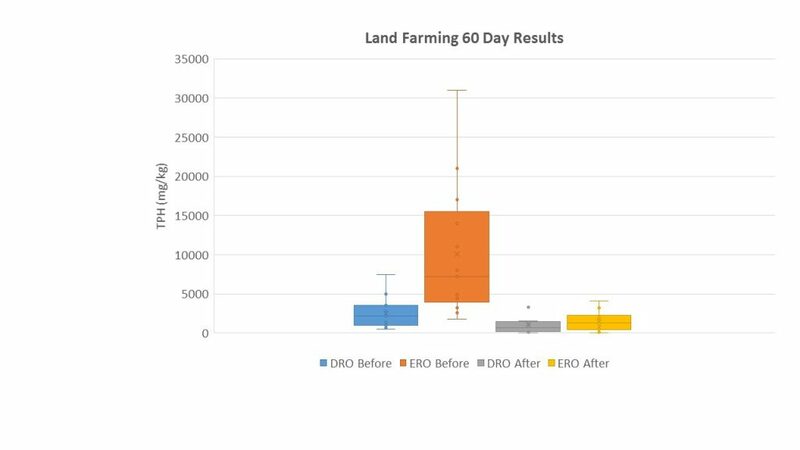 The following chart shows the range of DRO and ERO concentrations before and after Petrox treatment.